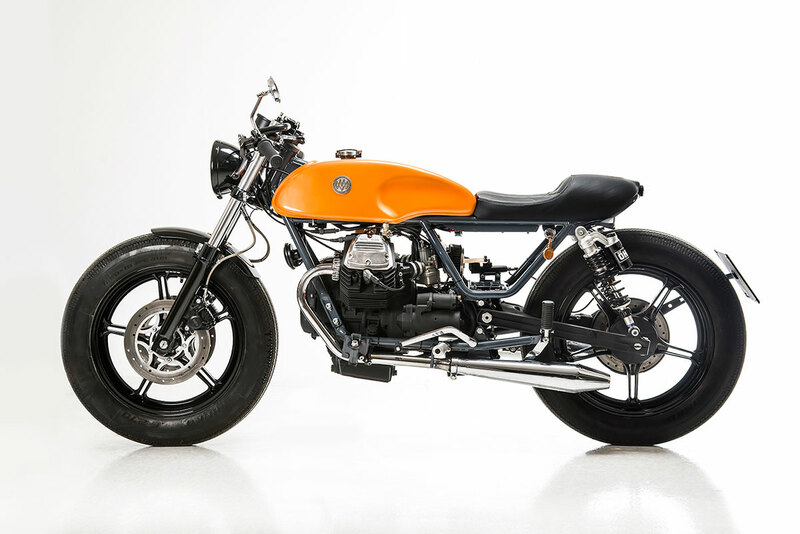 Today we are featuring Matteucci Garage V35 Sunrise cafe racer which is based on Moto Guzzi V35. We know that the V35 is the commuter based bike which has lots of shortcomings. The Matteucci Garage exactly know that they could provide much more to this bike. For this project he started off ripping out the body parts. They used a Norton styled Fuel tank and low position handlebar to give the style of Cafe Racer. He used integrated tail light in the rear part of the bike. They placed the hugger kind of number plate on the back tyre. Leather cover seat for the perfect look of cafe racer is installed. They improved the suspension unit by re-building the front one and using Ohlins special at the rear. Brembo Disc Brakes are used. The alterations in engine are just basic ones. 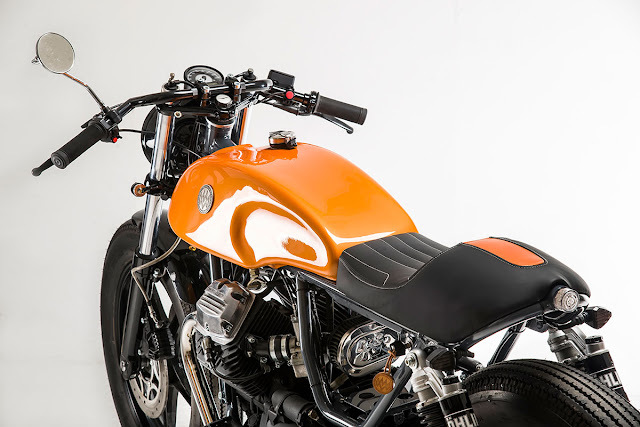 They have used a pair of Dell'Orto carb, a K&N filter, Megatone Muffler on exhaust of enhancing the sound. The paint scheme they used is Lamborghini Aventador Orange.